When traveling by bus you have a couple of bus companies to choose from. The best and easiest way is to schedule your trip with Tufesa. It’s a very good bus service to Guaymas from Phoenix and Tucson, The phone number in Guaymas is (622) 222-5453 and their web site is www.tufesa.com.mx. Tufesa has a (Directo) Express bus that leaves Guaymas at approximately 11:00 PM and arrives in Tucson early the following morning. This is a very comfortable bus ride that only stops in Hermosillo and at the border stations. Check the Tufesa web site for their full schedules for trips to and from Guaymas. Be sure you schedule an express bus. If available they are called (Directo) in Spanish. Other buses often stop at many smaller stations along the way, making the trip a lot longer. If you decide to take a bus, you can ride a Greyhound to Phoenix, Tucson or Nogales then transfer from there to another bus that goes to Guaymas. One of the buses making the Phoenix-Tucson-Guaymas trip is the TBC (Transportes Baldomero Corra). The cost is low and buses from Nogales to Guaymas run about every hour. TBC station in Phoenix is located at 1306 Van Buren St. Phone (602) 258-5852. TBC station in Tucson is located at 1428 South 6 Th Avenue, Phone (520) 903-2801. You can rent a car in Tucson, Arizona from Enterprise or Dollar car rental agencies located at the Tucson International Airport. You can drive across the Mexico border, when you purchase Mexico auto insurance for an additional charge of $25.00 per day. However, the car must be returned to Tucson. You can also rent cars in Hermosillo and in Guaymas Mexico, if you are arriving by airline or by bus and need to rent a car. Watch out at the petrol (gas) stations; make sure the pump is zeroed out before the attendant begins pumping your gas so that you don't end up paying more than you should. There is only one brand of gas station (Pemex) and prices are generally the same regardless of location, so don't bother shopping around. 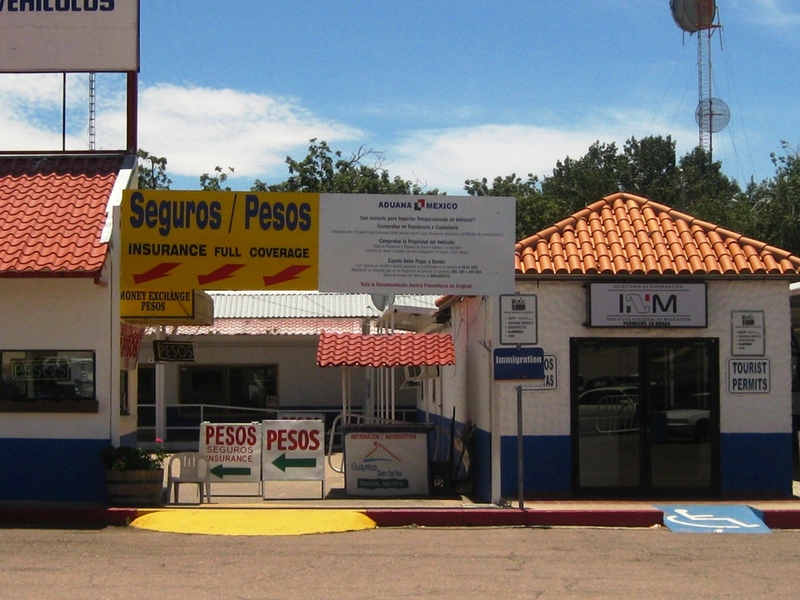 American car and most boat insurance policies are not valid in Mexico! Remember your boat must have $50,000 liability insurance coverage before you put it into the water at the Marinas in San Carlos/Guaymas. It is much less expensive to buy Mexican insurance in advance from one of these reputable insurance companies listed below. If you have not bought Mexican car and boat insurance in advance, you can buy it at the border. Lewis and Lewis Insurance Agency provides great Mexican insurance for your Car, Truck, SUV, Van, Motor home, Motorcycle, Home, Condominium, Boat, Yacht and more. Get quotes and print your policies with their online services. 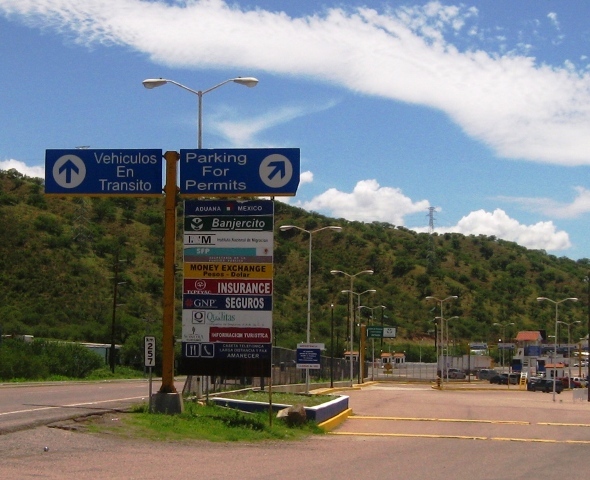 The usual point of entry to Mexico for travelers driving to San Carlos is at the Arizona-Mexico border in Nogales. Declare your items here before proceeding into Mexico. Leaving early in the morning is a good idea, because it is a lot safer to drive during daylight hours. Although the roads are good, the curves and roads under construction are difficult to navigate after dark; livestock may wander onto the highway and can be very hard to see at night. 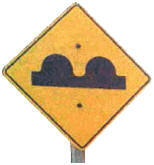 WATCH OUT for speed bumps (usually marked by yellow signs.) "TOPES" mostly located just before the tollbooths and some are right before you enter the small towns. As you reach Hermosillo, stay in the left lane as much as possible and follow the signs to Guaymas. You will be making two left hand turns at main intersections. 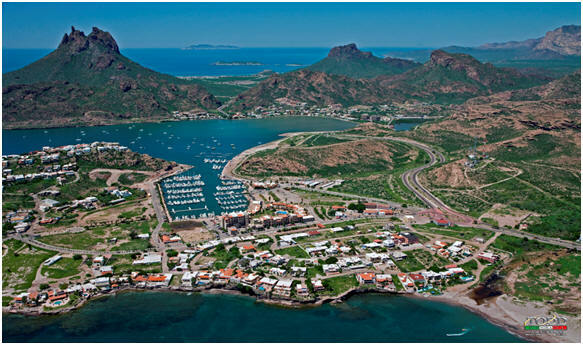 You will drive about 75 miles before you get to the San Carlos Exit just before the Guaymas city limits. Keep to the right you will see the landmark mountain with San Carlos written with stones panted in white. Straight ahead follow the scenic road (Manlio Fabio Beltrones Boulevard) into “town”. Look for the ocean to the left. You now have arrived in one if the most beautiful places in all of Mexico! The road trip from Albuquerque to Nogales takes 7 or 8 hours. The second leg of the trip from Nogales to San Carlos takes about 5 hours, a total travel time of 12 to 13 hours. Allow an additional hour for crossing the border, passing through customs, and obtaining a visitor’s visa. 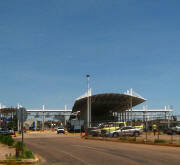 Border crossing is quicker and easier early in the morning and in the middle of the week. It takes longer during the period from Christmas through New Year’s Day, Memorial Day, and Labor Day. If you hit a busy holiday, be patient. To take the shortest route from Albuquerque to Nogales, follow these “Fool Proof Instructions” below, and don’t miss the turn-offs at Hatch, Deming, Benson, and before Sierra Vista. 1. From Albuquerque go south on I-25 (aim towards Mexico) ‘til you reach the exit to Hatch, New Mexico which is about 20 miles south of Truth or Consequences, NM. Turn off and go to Hatch. 2. Drive through Hatch (always an adventure) and take State Hwy 26 from Hatch to Deming. Going directly from Hatch to Deming, rather than by way of Las Cruces will save you an hour driving time. In the fall months look for the red chili wreaths and wall hangings, great for gifts or decorations. 3. At Deming take I-10 West all the way to Benson, Arizona. On the way to Benson, pause at the rest stop to look at the wonderful rock formations in Texas Canyon. 4. At Benson, do not drive on to Tucson because this adds 1 ½ hours to the driving time. Instead, take the Benson to Sierra Vista/Patagonia route. 5. Two miles past Benson, at Interchange #302, get off I-10 and go south on Arizona State Highway 90. This exit is easy to miss. Look for the McDonald’s sign. 6. Take Arizona State Highway 90 towards Sierra Vista. Before you reach Sierra Vista, you will come to an intersection with Arizona State Hwy 82. Turn right at this intersection. 7. Then, take Arizona State Hwy 82 towards Sonoita and Patagonia and follow this road all the way to Nogales. The “Benson to Patagonia route” to Nogales not only saves considerable time compared with going by way of Tucson, but this road goes through some magnificent mountain country as well. We highly recommend the big park in the middle of Patagonia for a picnic rest stop. If you are taking the trip in two stages, Patagonia is a nice quiet place to spend the night in your RV. It is permissible to park RV’s on the street. They also have an inexpensive RV park in Patagonia. 8. Cross the USA-Mexico border at Nogales, Arizona and take either Exit 4, or the Mariposa Road border crossing. Stop at the second checkpoint, Kilometer 21, twelve miles from the border, obtain your Tourist Visa Cards and Vehicle Permits (if needed) here. 9. As you reach Hermosillo, stay in the left lane as much as possible and follow the signs to Guaymas. You will be making two left hand turns at main intersections. 10. Take the San Carlos Exit just before the Guaymas city limits. To the right you will see the landmark mountain with San Carlos written in white stones on the side of the mountain. Straight ahead follow the scenic road (Manlio Fabio Beltrones Boulevard) into “town”. Look for the ocean to the left. For the most direct road to Guaymas-San Carlos, cross the USA-Mexico border at Nogales, Arizona and take the Mariposa Road border crossing. There is also a route for cars through town. Motor homes and trailers must use the Mariposa Road crossing. The downtown streets are congested and unsuitable for towing a boat. The Mariposa crossing (Exit 4 off I 19) is the better way to go. Right before you enter the Mexican border the USA border patrol is now stopping all incoming traffic. They ask you what you are bringing out of the country. If they choose to inspect your vehicle they can, they x-ray your vehicle while you stand by on the road, this takes about 15 minutes depending on the amount of cars they pull over. At both Mexican Checkpoints, whether or not you catch a red light for a customs inspection, is by random selection. If you do, a Mexican official will direct you to drive into one of the inspection bays and inspect your vehicle to see what you are bringing into the country. If you are entering Mexico from the USA by land, you must bring your US passport or US Passport Card to return back into the USA. Travelers are required to present documents proving both citizenship and identity when entering the U.S. through a land or sea border. (A passport is also required for all international air travel.) A birth certificate and driver's license, used by many travelers, is no longer sufficient for adults crossing land or sea borders. You MUST stop at Km 21 to get a tourist visa. (more details later). The Sonora Free Zone program for vehicles has expanded!! This means that those who plan to travel with vehicles in the state of Sonora north of Empalme /Guaymas no longer have to register and obtain a vehicle permit. If you plan to travel to the San Carlos/Guaymas area and no further into Mexico, this area is considered the Free Zone! The free zone also applies to trailers, boats, motorcycles, etc. If you are towing a trailer with an ATV it may be confusing. It all depends on how the wind is blowing that day. Just make sure that all registration documents are in order and that serial numbers match. Sometimes they allow everything in without a hassle, other times they will make you import the trailer, or ATV – or both. 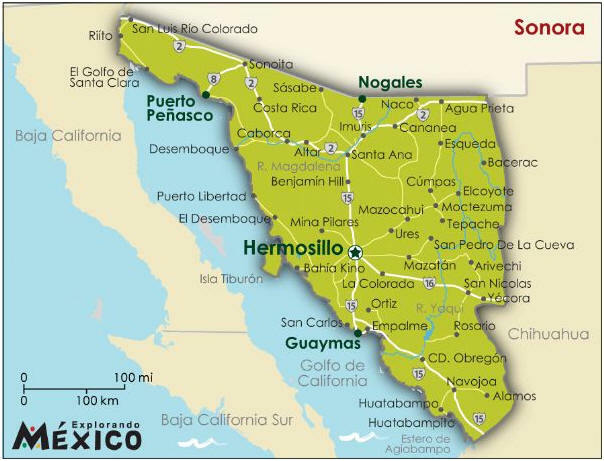 If you want to travel to the eastern part of Sonora, which includes the Route of the Rio Sonora, the lakes at Angostura and Novillo, and Moctezuma or to the southern part of Sonora including Obregon, Novojoa or Tobalabampo, you must have an Only Sonora (free) or the All Mexico (fee) vehicle permit. The catch is you can only get an Only Sonora permit at KM 21 south of Nogales or at KM 98, south of Empalme. 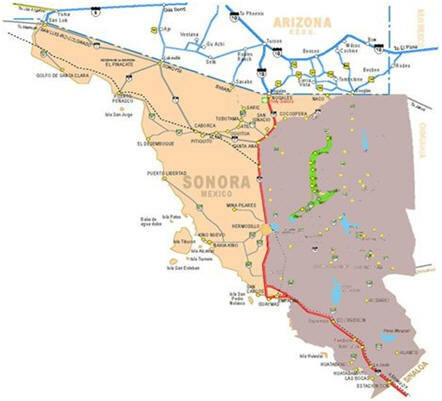 There are no other issue points for the Only Sonora permit at this time. Be prepared to show the registration or title for any vehicles you are bringing into Mexico and the owner must be present. 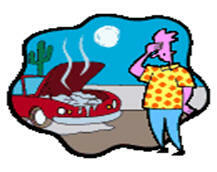 You will need a credit card to post a bond of about $20 to guarantee you will not sell the car in Mexico. Note: If you use cash, the bond is over $200. So have your credit card ready! Only one car is allowed per person when obtaining a vehicle permit. That means, if you already have a car in Mexico, you cannot import another one. If you are driving an RV and pulling a car behind, you cannot register as owner of both. For example, if one person owns the RV, then the spouse can own the car. At the time your permit expires (usually 6 months), you must exit the country and turn in your vehicle permit. Any trailer, boat, etc. noted on the vehicle permit must be taken out of Mexico at the same time. It is acceptable for a person who is not the owner to do the actual driving, but the owner must be in the vehicle and have the proper documents. A boat, however, can be bonded into Mexico for as long as 10 years. You can receive this bond in most of the larger ocean front cities. Park in the parking lot, then you can walk to the appropriate building. If you failed to declare your imported goods at the first checkpoint, declare them here at the “Voluntary Declaration” building. Step 1: The first building you come to is the Migración (Immigration) Building. 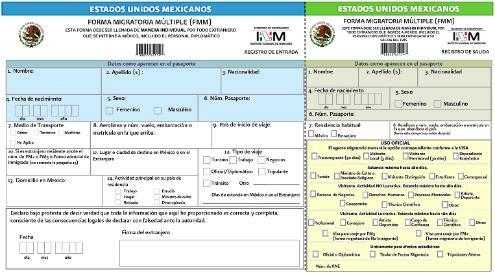 In the Migración building you will obtain your Tourist Card paperwork. The proper name is Forma Migratoria Multiple or FMM. You must show your proof of citizenship, you should use your passport or passport card and an official (government issued) photo ID (adults). For children, see: (Documents for passengers under 18 years old, section for more information). The officer will ask you to sign your Tourist Visa and send you to the bank to pay the fees, if you are receiving a tourist Visa card for over 7 days. Visas are granted for a period up to 180 days, but if you tell the official you will be in Mexico for a shorter period, say 60 days, the visa will only be good for that amount of time and you will be charged the same amount as for 180 days visa. Step 2: Proceed to the bank located behind the Migración (Immigration) building to pay your fees. Wait in line for the next available teller then hand them your immigration paperwork. The teller will give you a receipt which you will need to take back to the Migración (Immigration) building. Give all the documents to the official and they will give you your completed Tourist Visa Card. As you leave the parking lot, go slowly. You will have to pass the second Mexican customs inspection station. Yes, they do it twice. If you get a green light, just drive on through. If you get a red light, the official will direct you to an inspection bay. Once they are finished, you are, at last on your way to San Carlos! Speed limits are posted in kilometers. To convert kilometers to miles multiply kilometers by .6 (or to be precise, .62). Unless you are experienced at driving in Mexico, it is better to stay close to the legal parameters set on the roads. Be especially vigilant while driving through Hermosillo as there have been reports of foreign plated vehicles being targeted by the local police. If pulled over, be polite, look for a badge number and ask to be taken to the commadante – or Police chief. The police are now checking for seatbelts and alcohol limits. There are several types of law enforcement officers in Mexico: Federal Police, Federal Highway Police, Municipal Police, Federal Judicial Police and Mexican Army soldiers. Federal Police (Policía Federal de Justicia): In Mexico, the federal police have more authority then the local city cops. They do carry guns and look intimidating, but they are only looking for federal violations such as smuggling drugs, guns, and ammunition and car theft. If you are stopped, be cooperative. Generally they don’t mean you any harm, but you don’t want to talk back to these guys! Municipal Police (Policía Preventa): Local police can stop your car for speeding or other traffic law violations. The office of the Police Chief is marked “Comisario Municipal,” and is located on Caracol Touristico across the boulevard from the Marina Terra Hotel above the parking lot. Police Telephone: 226 - 1400 or 226-0004. Federal Protective Police (Policía Federal Preventa, or PFP): The PFP can also stop you for speeding or other traffic law violations. There are numerous radar "zones" along Mexico highway 15 between Nogales and San Carlos. They are marked with signs that say "Radar en operación." As in the U.S., there may or may not be anyone manning a radar gun along the highway when you drive through, but if there is, they are very serious about it. The PFP are usually the first responders at the scene of an accident on México 15. Soldiers in Uniform: Do not be afraid of the young men serving their one year of military obligation. They wear dark khaki fatigues. Their rifles are not loaded, and they are just carrying out training maneuvers. If any law enforcement agent stops you, he is entitled to see your driver’s license and your vehicle registration. He may also ask to see your vehicle’s Temporary Import Permit if you are out of the Free Zone area. Where is the Free Zone? The Free Zone includes the area west of Mexico Highway 15 to the coast or the border with Baja. It also includes the area from Douglas-Agua Prieta via Mexico Highway 2 west though Cananea to Imuris and everything north of that highway to the US-Mexico border. The southern end of the free zone is at KM 98 on Mexico 15, just south of Empalme. Communities in the free zone include Agua Prieta, Naco, Cananea, Nogales, Puerto Penasco, Sonoyta, San Luis Colorado, Caborca, Imuris, Magdalena, Santa Ana, Hermosillo, Kino Bay, San Carlos, Guaymas and Empalme. See the map below the free zone is in beige. ATENCION AL TURISTA 078 - Call 078 from any cell phone or TELEMEX phone booth to ask for assistance from the Green Angels Patrol. Radio dispatch will send a truck with bilingual mechanics to assist you. There is no charge for their service, just for parts, gas and oil if necessary. Tips, however, are appreciated. If you need assistance during the day and don’t have a phone, pull over to the side of the road and raise the hood of your vehicle. The Green Angels patrol the highways from dawn to dusk and will stop if they see that you need assistance. • Provides maps and information about state and regional tourist attractions and services. • Provides first aid and CPR assistance in case of an accident. • Provides emergency mechanical and radio support. • Provides emergency disaster assistance to the general public. 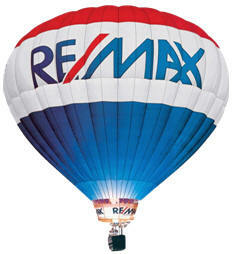 Individuals who are moving their residence to Mexico can import their furniture without paying customs fees. This exception is made only during the first three months in which a foreign resident obtains his FM-3 visa. Make arrangements in advance with the Mexican Consulate in Arizona and the Aduana in Nogales. 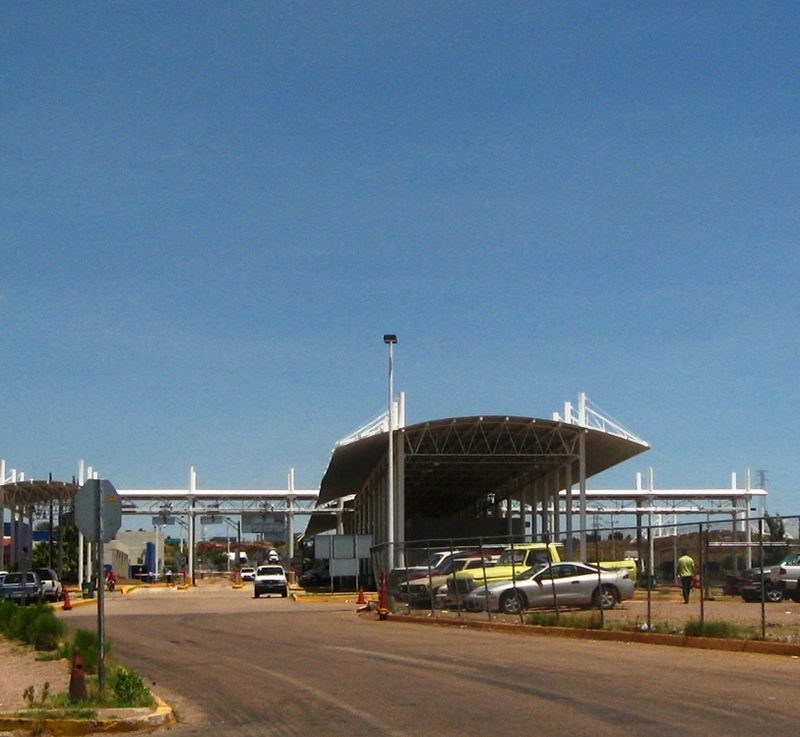 To make an appointment with the Nogales Customs Coordinator telephone from San Carlos: 01-631-311-0301. US officials now stop you before you cross the Mexico border. Mostly they want to know how much money you are taking out of the country. You are only allowed $10,000 in cash per person. If you have more than that amount with you, you will be in violation of the law and subject to a fine. Your vehicle may be pulled over and x-rayed and searched for guns, drugs or other contraband and cash. You may also be searched on your way back through the US border by customs and/or Dept. of Agriculture officials when returning to the USA. Returning to the USA, citizens can bring back any amount of Mexican arts and crafts, and up to $700 worth of other types of Mexican goods duty free, but no more than $10,000 cash and no more than one liter of alcohol, or more than 200 cigarettes (one carton) and 100 cigars per person. Agricultural products, prescription drugs, Cuban cigars. If you are carrying prescription drugs into the USA, you must have a prescription for them. No more than a three-month’s supply is allowed on prescription medicine. You cannot take back Cuban cigars or any other items originating from Cuba. Many agricultural products are restricted. You cannot take plants or any item made from an endangered species or any items made from straw. You cannot take certain foods (meat, eggs, fruits, and vegetables) out of Mexico. If you have uncooked food in your ice chest, it will probably be confiscated. Your car may be searched at the USA border when you re-enter the States to determine if you are carrying foods that may carry cholera, hepatitis, and other health threats, as specified by the USA Dept. of Agriculture. Dept. of Agriculture will inspect agricultural items. Agricultural items are prohibited if they can carry plant pests or animal diseases. Declare all agricultural items you bring from Mexico. Failure to do so may result in delays and fines. Fruits and Vegetables: All fruits not on the permitted list are prohibited. Sugarcane is prohibited. Potatoes are prohibited, including Irish potatoes, sweet potatoes, and yams. (Exceptions: Cooked potatoes are permitted. Avocados are not permitted unless the seeds have been removed -except in California, where they are completely prohibited). Game: Check with agricultural inspectors in advance. Other restrictions may apply; check in advance with agricultural inspectors. Live birds: Wild and domesticated birds, including poultry, are prohibited. To import personally owned pet birds, contact agricultural inspectors in advance. Straw: Prohibited. This includes wheat straw, animal feed, and all articles made from straw. Dog Food: Dry dog food is limited to one day's ration per animal.